It’s very hard to quantify why and how I love Tokyo, but I do. Actually, I adore all of Japan, at least the bits that I’ve seen, but Tokyo was my first foray into the country and so holds a very special place in my heart. Tokyo to me is a little like New York on drugs, wacky, weird, happening, and with more neon lights. 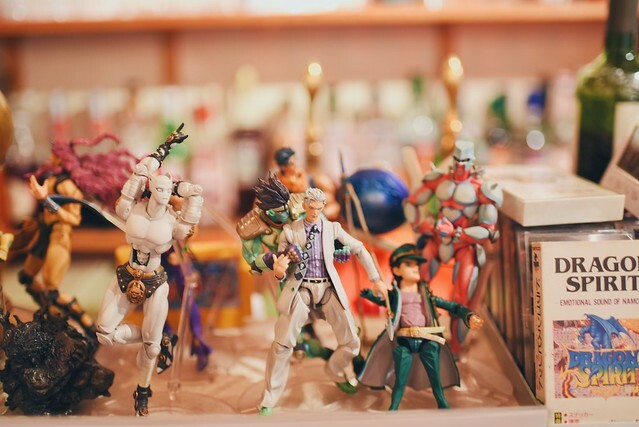 Every time I go I accumulate strange encounters, and so I thought it was time to pen down the five weirdest things you can do in Tokyo to satisfy your inner freaky geeky self. 1. Check out the roving exhibitions at the National Art Center Tokyo. 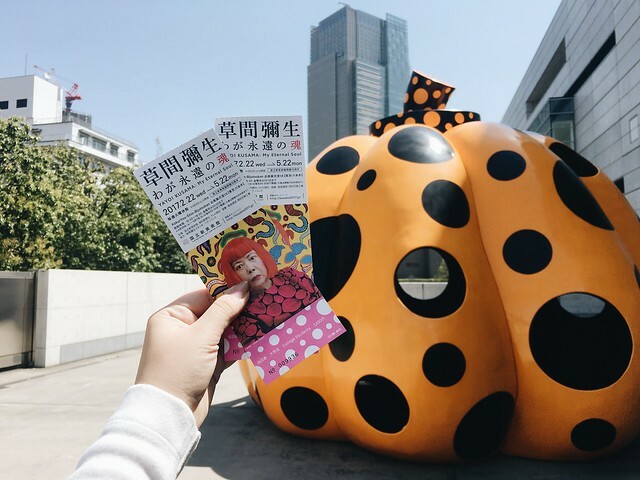 I was fortunate enough to catch Yayoi Kusama’s My Eternal Soul exhibition when I was in Tokyo. Click here to watch my #jemmainajiffy vlog of my experience.. I was legit freaking out. It was one of the best exhibitions I’d ever seen! The balance of art and explanation was ace. 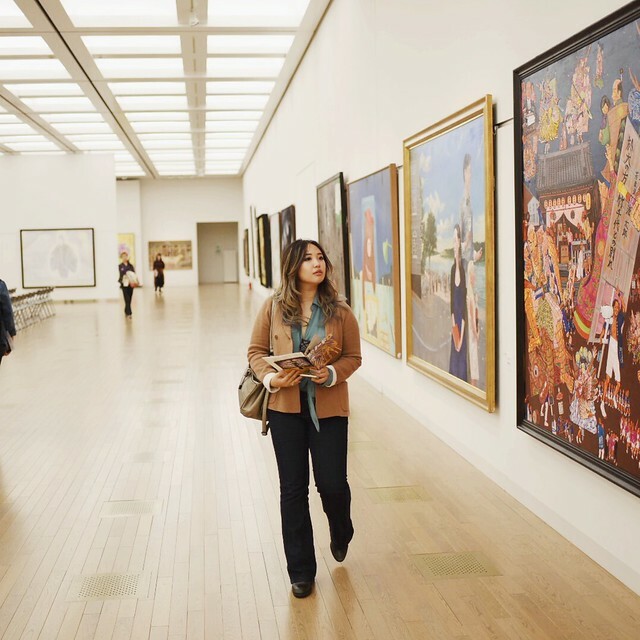 You’d think that it’d be an obvious requirement for museums, but a lot of museums have really bad art descriptions, which really ruins the whole thing. I was pleasantly surprised to find that the exhibition in Tokyo National Art Center got their copy down pat, especially since they’re definitely translated over from Japanese. You go, Japan! 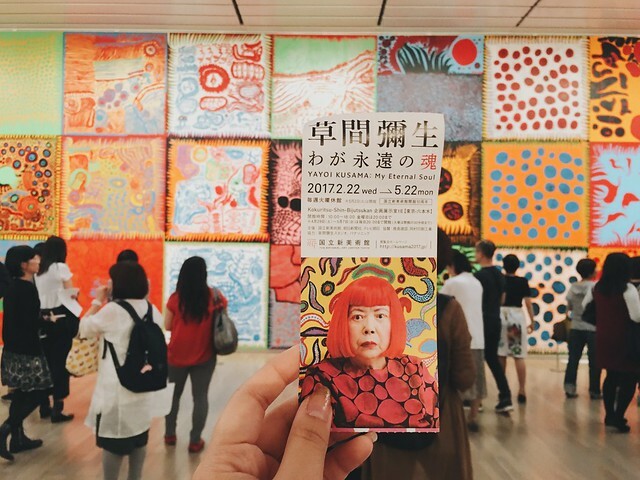 And even if you’re not able to catch Yayoi, from experience – the National Art Center brings in really good exhibitions, so I definitely recommend checking it out anyway. Last year, I was in Tokyo during Art Week, and so we got to see many literally roving exhibitions. Here’s one of some people pretending to be sushi. The art galleries were pretty good too. And if you’re not into that, at least go to admire the architecture – the building itself is amazing! Protip: Queue for tickets is mad, so buy your tickets online first. Or if you end up buying on the day itself, BRING YOUR STUDENT PASS. You’ll save like 400YEN on the admission fee. The museum is closed on Tuesdays, so don’t just rock up to the doors like we did without checking first. We had to come back twice because we didn’t realise it was closed on tuesdays the first time! 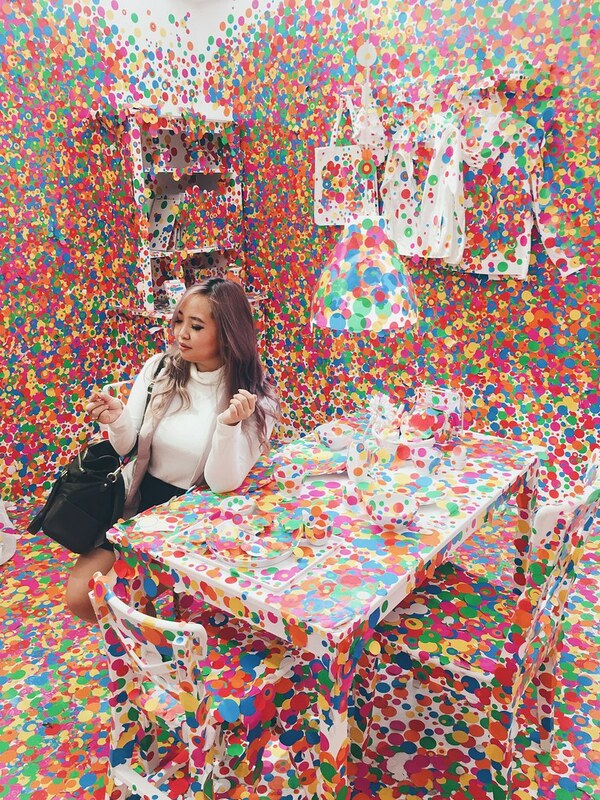 Additional tip: this museum is located in Roppongi, where the chichi neighbourhood is. 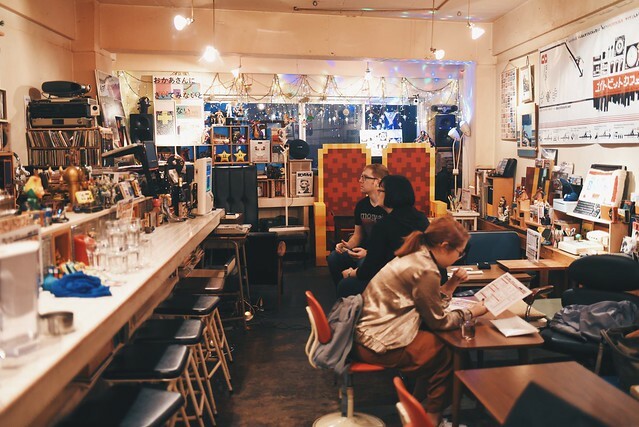 You can go cafe hopping, have a drink at the famous Lost in Translation bar atop the Park Hyatt Tokyo, or head to a hedgehog cafe in the area! This idea was floated to me last year during my previous trip, but I never got around to doing it till this one. 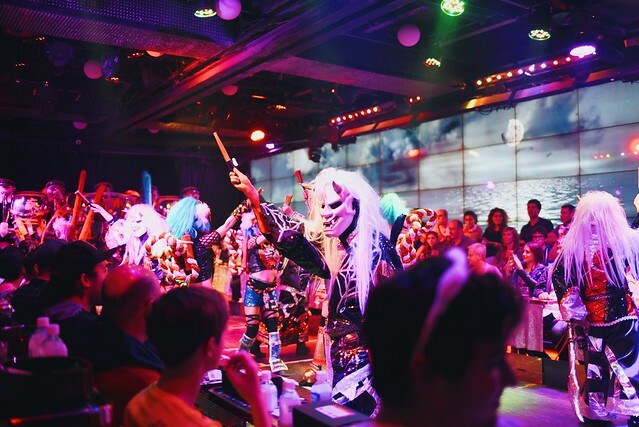 The robot restaurant has gotten such mixed reviews from everyone I know who’s been there – it really is either a love or hate kind of situation. But everyone agrees on one thing: only in japan. 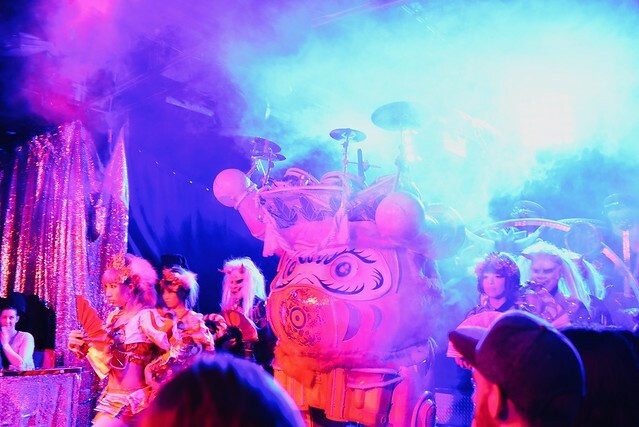 I booked the robot restaurant for my sister and I on the Klook app, which is the same app I used for my airport transfer, my disneyland/sea tickets, so on and so forth. When I got to the restaurant I just showed them my phone to enter, which was incredibly convenient since I hate printing and carrying tickets around! Super super fuss free. We got the show-only option because we heard that the food they serve isn’t great. I’d recommend this for sure, because Shinjuku has a lot of great dining options you can go to after the show, like Ichiran ramen’s 24 hour chain and so on. So we settled down and waited for the show to start. To be honest, when it began I thought it was totally not worth the money because it was just costumed girls running around on floats looking high on life. BUT. Turns out that was just the pre-show! The actual show… it blew me away. I think I must have been slightly delirious from the flight and the rain because I couldnt stop laughing for an hour straight. It truly is one of the craziest things I’ve ever seen. Waiting for the show to start… full house! DANCING ROBOT!! !I screamed when he came out. I’m a sucker for these things. 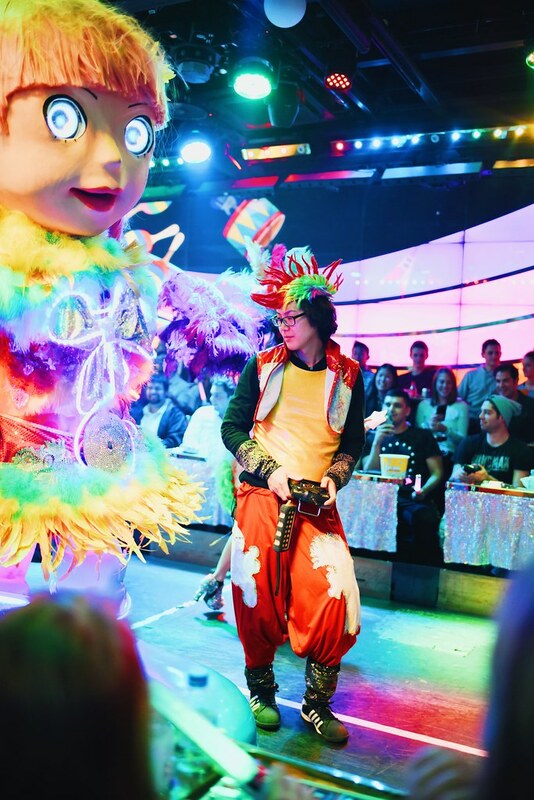 Essentially, there are three shows in the robot restaurant, each with their own relatively simple storyline. The magic happens when the freakin ROBOTS come out and fight it out. What the damn hell! I screamed and laughed and cried so much I thought i was going to die. And after reading online reviews, I realised that they must have already tampered this down because apparently it was a lot LESS PG before it got so touristy. The show I watched was so crazy already, I cant imagine how it could have been crazier before! The show was a freakin full house, and they do three shows a day. Even years after they’ve opened doors it’s still a full house every show, so I would suggest booking this early. The entire thing cost 10 million yen to build, and now I understand why. Do it if you’re the type who grew up watching anime and reading manga because to be honest, this is the closest you will get to living in a freaking manga comic. HAHA. 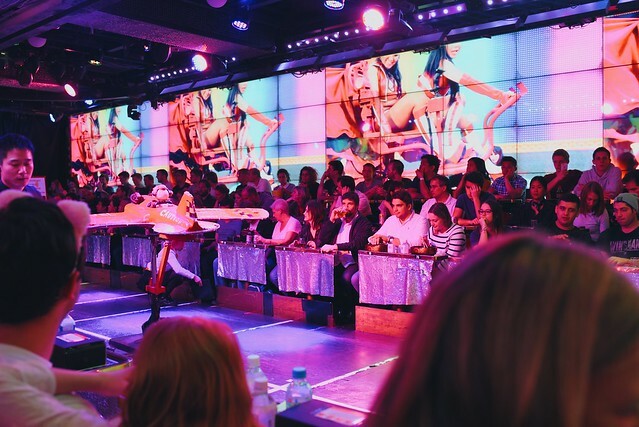 Protip: skip buying the overpriced dinner at the robot restaurant and go for dinner / drinks elsewhere after the show. Golden Gai is nearby for drinks, and the charmingly named Piss alley is also in the area if you want cheap eats. I must admit that I’m not a huge LINE user myself: I favour Whatsapp (because everyone is on it) and Telegram (because of the stickers!!) more. But I do use the LINE stickers of that weird moon headed man and the bunny on Telegram, and they’re some of my favourites! 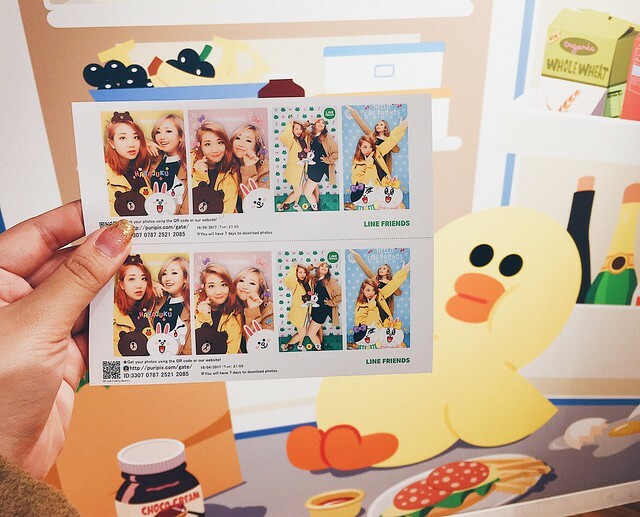 You already knew that taking neoprints, or purikura (プリクラ), is a must when headed to Harajuku. 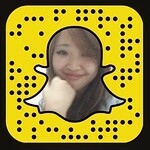 But why not amp it up and take the LINE specific purikura pictures? It’s 600YEN for two sets of four pictures, and here’s the kicker – when you download the Purikura app, you can get the photos in full res for free instead of having to try take a picture of your print out. AND, the app automatically creates this short music video of your pictures, which kind of plays like a really cheesy life trailer. But crazy corniness aside, when else are you going to have a trailer of your own life made? This is like the opening to my future reality TV show, y’all. Crazy bear transitions and all. Besides, how can you resist a picture with this larger than life LINE bear? Protip: The LINE purikura machine is at B1 level. Down the road from the Harajuku LINE shop is Red Rock – where you can get one of the best beef bowls in your life. Yum! Go late to avoid a queue. 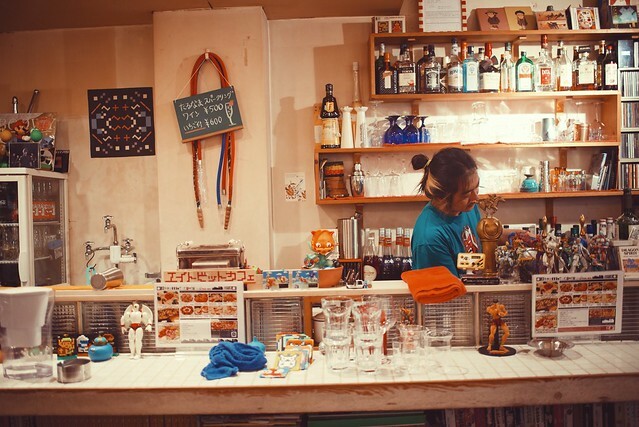 This cafe has an entry fee of 500YEN and a minimum order of 1 drink each. But for good reason! 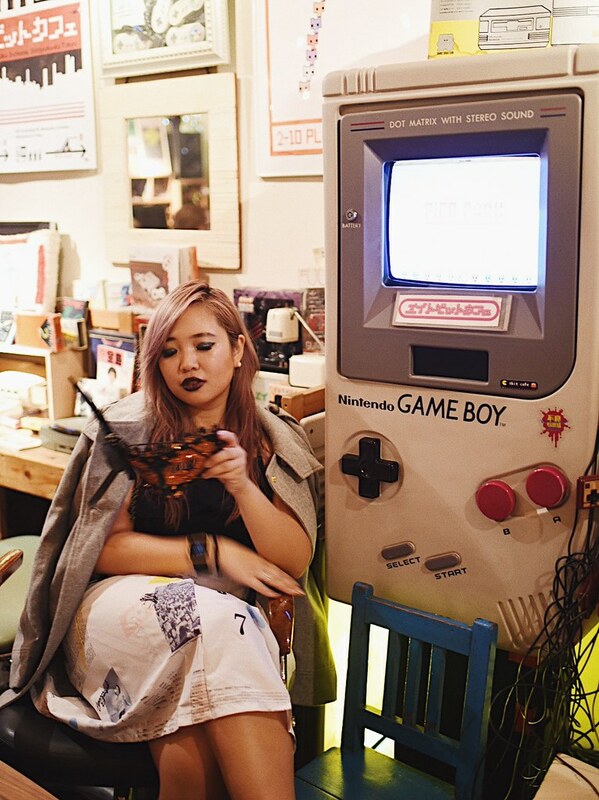 The cafe is a themed one, full of old school games that are fully functional. 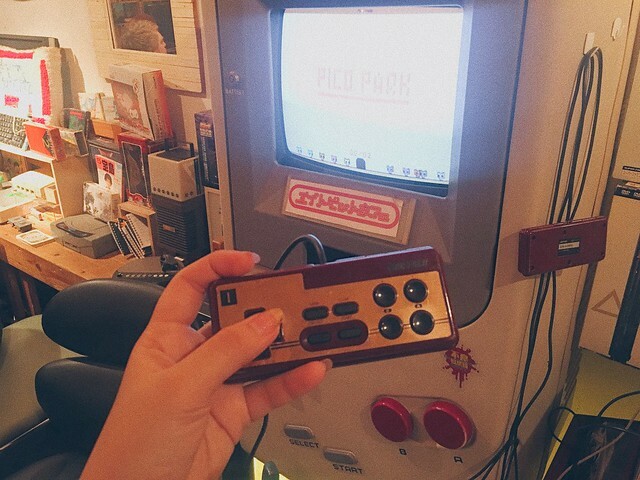 You can stay for an hour and a half, and the games are a really good mix of familiar (marioKart) and never seen before (Pico Park?). Drinks are named after the owner’s favourite video game characters, which is a cute touch. It’s not a big cafe, and fills up quickly. I would suggest going about late afternoon (it opens at 6) to avoid the crowds. We were the only ones there save for another couple, but by 630pm people started streaming in! One last thing: the place is really near the Shinjuku subway exit, but it’s not easy to find. Look for a dodgy little staircase is my best advice, and a sign that says 8bit. Protip: It’s in between the Shinjuku Gyoen and the Metropolitan Gov building. So go to the Gyoen before that, then the cafe, then head to the Gov building to check out the free observation deck for a bird’s eye view of Tokyo! Wrote about the Metropolitan Gov Building (amongst other things) in my Broke Student’s Guide to Tokyo here. This is something I regretfully did not get to do myself, because I chickened out. I’m a relatively new driver, and I definitely do not feel confident speeding down the roads of shibuya in a gokart! But I saw a ton of other people doing it, and it looked ridiculous and amazing. 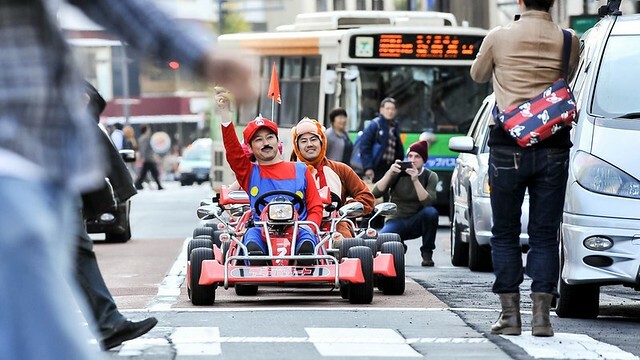 You get to dress up as your favourite Mario Kart character and zoom zoom your way down the streets of Tokyo. Again, its something that mostly tourists do. But let’s face it – if you’re reading this, you’re a tourist. 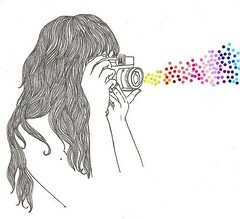 And so embrace the life, and get weird with them. Im sure it’ll be an awesome memory, and it’s something I’m mentally preparing myself to try the next time I head to Tokyo! 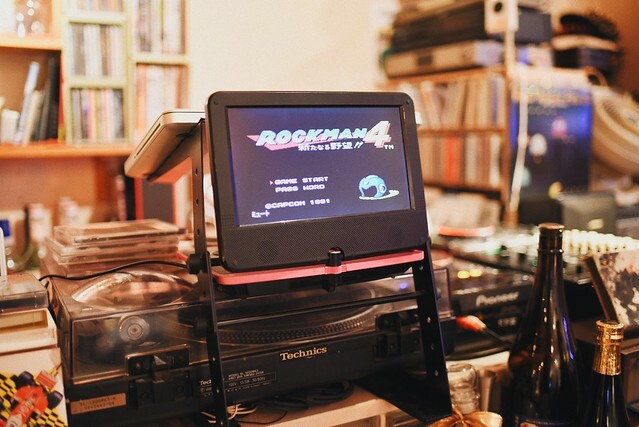 I also really liked the Tokyo Weekender review of the activity. 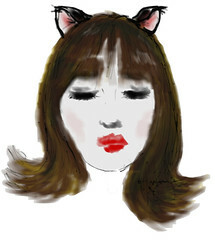 Perhaps I’ll be brave enough to try it on my own next time! Ha. You can also book this activity off Klook, where they occasionally have discounts for their hosted activities. 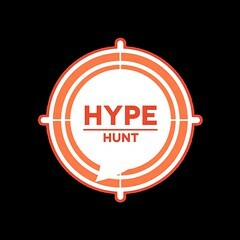 And the more activities you book on them and reviews you leave, the more points you get towards a discount on your next activity! 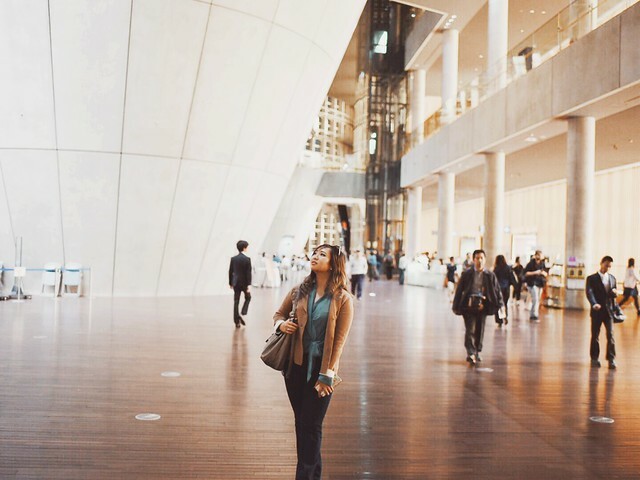 This was part of a Tokyo work trip with Klook – a travel activities booking site. 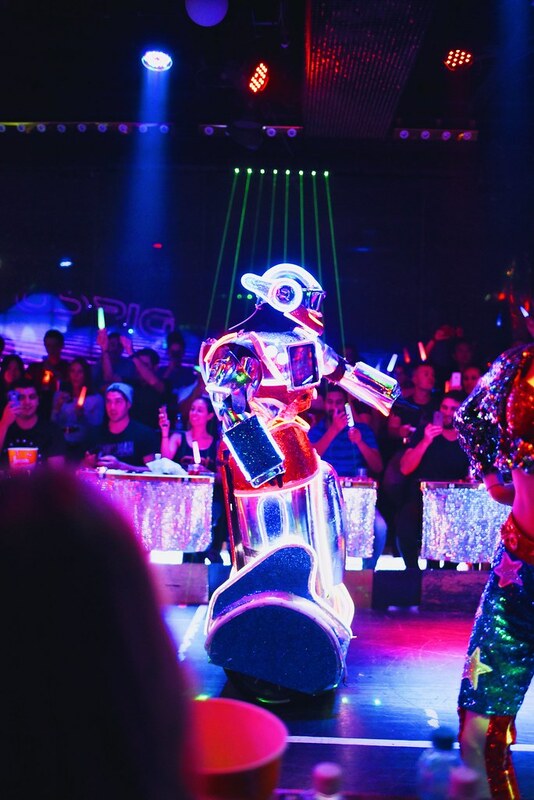 Tickets to the Robot Restaurant were also booked on Klook!